The Chincoteague glow at sunset. 3/23/2018 UPDATE: Congress has passed a spending bill fully funding EPA's Chesapeake Bay Program through the end of Fiscal Year 2018. This is a critical piece of Chesapeake restoration efforts that coordinates scientific research on the health of the Bay and provides grants to state and local governments to help reduce pollution. It's successful, bipartisan, non-controversial—and it's a critical part of the Bay restoration efforts that are helping crab and oyster populations rebound, shrinking the Bay's dead zone, and allowing Bay grasses to thrive. Please take a moment now to thank your Congressional representatives for standing up for the Bay! Last week, the Trump Administration issued a preliminary budget that eliminates all funding for the Chesapeake Bay Program (CBP), a critical part of the state/federal partnership to restore the Bay and its rivers and streams. But what exactly does the Chesapeake Bay Program do, and how does potentially gutting it affect the health of the Bay? The CBP is an unusual entity. 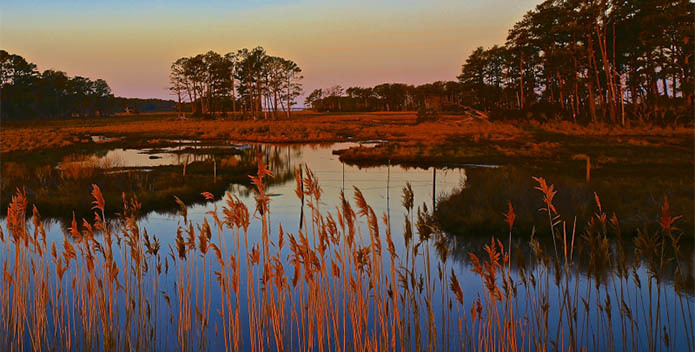 It's an arm of the U.S. Environmental Protection Agency (EPA), but also a partnership of federal, state, and local agencies involved in the work of restoring the Chesapeake Bay, as well as a host of academic and non-profit partners. You can think of it as a large and diverse group working together, organized and partially funded by EPA. And it is responsible for hundreds of actions in the field that help Save the Bay, from rebuilding wetlands, to restoring oyster beds, and so much more. It's working! At a time when we seem increasingly at odds about how to solve complex problems such as health care or terrorism, the unique collaboration to restore the Chesapeake is making concrete progress. Less pollution is entering the Bay, underwater grasses are thriving in certain areas, the dead zones of low oxygen are shrinking. The crab population is healthy. Even oysters are enjoying a modest comeback. But the recovery is fragile. The Bay Program is the glue holding it all together. The Program is really a family affair with partners sharing the wealth. The majority of its $73 million annual budget is distributed to the partner states, local governments, colleges, and non-profits for the work they do. They plant trees along streams, build "green infrastructure" in cities and suburbs to slow down and soak up polluted runoff, and help restore and protect oyster reefs. They increase public access to waterways, create habitat for crabs and rockfish, and work with farmers to reduce pollution from manure and fertilizer. The list goes on. We have the best scientific information and tools, thanks to the Chesapeake Bay Program. Like a sick patient, the Bay needs a scientific diagnosis and treatment. The Bay Program is the doctor of the Chesapeake. It coordinates the monitoring of water quality, the computer modeling of Bay health and progress, and the rest of the science. Eliminating the program would be like throwing away the patient's medical records. 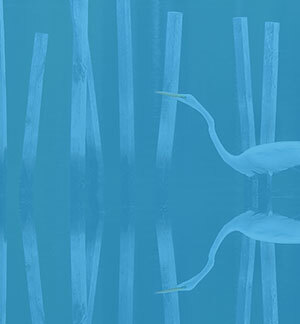 The partnership helps keep six states and the District of Columbia on track to meet their obligations in the Chesapeake Clean Water Blueprint. This is the regional plan to restore the Bay. After several decades of failed attempts to meet restoration goals, the jurisdictions agreed in 2010 to hold themselves accountable for reducing pollution in amounts set by science, and to report on their progress every two years. This accountability mechanism is working, with nitrogen pollution falling in nine main tributaries. Eliminate the Bay Program and you could stop this progress. The Bay Program takes the broad view. Its scientists and planners can see, for instance, how the entire region is developing, and inform individual states for their own land protection strategies. This is especially important for areas downstream of development, since pollution is likely to increase from growth. The Program also tracks how the region is doing to restore fisheries, and the habitat that crabs, fish, and oysters need. In an ecosystem of 64,000 square miles, it is critical to know how the whole system is functioning. No state alone can do this—only the Chesapeake Bay Program. The Chesapeake Bay Program has been called a model of cooperative federalism, the system of government established in the American Constitution. It is the federal and state governments working together to solve a regional problem. Rather than eliminate it, we should be supporting it. To say that now is the Chesapeake Bay's moment in time has never been more true. Take action right now to urge Congress to reject the Trump Administration's budget proposal and protect our Bay and rivers and streams.